Traditions are the very identity of a society. 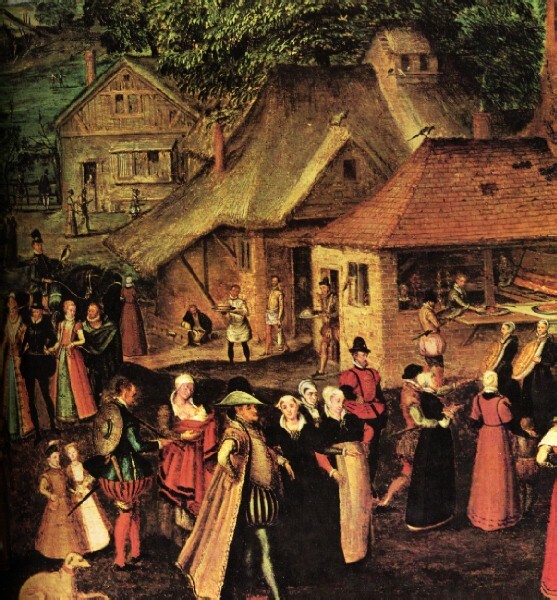 People of Elizabethan era were true lovers of customs and traditions. Customs and traditions played an important role in the life of people in Elizabethan times. People were expected to attend church every Sunday in order to remain aware about the customs and festivals according to the church calendar. People relished various festivals in those days as well. In January, twelfth religious night festival was celebrated which marked the visit of wise men, following the birth of Jesus. February marked St. Valentine’s Day. This festival was a sign of love. Good Friday and Easter Monday were celebrated in the month of March. All fool’s day was observed in April. This festival was filled with jokes and jests. May Day was the festival which came in the month of May in which a queen for May was chosen and villagers used to dance around the maypole. Festival of fire was celebrated in June. There was a tradition of burning bones in this festival and this led to the term ‘bonfire’. Swithin’s day was observed on 15th July. Lammas day was celebrated on 2nd August. Loaf mass day was the festival of the first wheat harvest of the year. Michaelmas used to be celebrated on 29th September and the traditional food of goose and chicken was cooked on this day. All souls day, or, All hallow’s day (Halloween) was enjoyed in the month of November. Christmas celebrations were made in the month of December. Besides festivals, certain traditions were specific in case of marriage. In those days, it was considered foolish to marry for love. In fact, people of lower classes had likely more choice in who they married. Marriages were arranged and aimed at bringing prestige and wealth. Women were taught that men were more intelligent than them. Even Elizabethan era laws gave full control to men over their wives. Women who didn’t marry were considered to be witches. Marriages were dictated by the church. Marriage was legal for girls at the age of 12 years. For boys, the age was 14 years. But the average age to marry was 20-29 years. Superstitions and belief in witches and witchcrafts were at its peak in the Elizabethan times. Women were put under trial for allegedly being engaged in witchcraft. Eclipse was considered as an evil omen in those days. The famous saying of “god bless you” following a sneeze originated in the Elizabethan era. The saying “touch wood” also originated in those days. Spilling pepper or salt was considered a bad luck. Executions by beheading were awarded quite often in the era of Elizabeth 1. The most dreadful punishment was the one being hung, drawn and quartered. This was reserved for the most hated prisoners. Being burnt at the stake was another form of execution. Every society has its own traditions and customs. The respective society is known by these very traditions only, and, the above mentioned were the customs specific to Elizabethan era.